Our client, an oral surgeon from Germany, suffered a serious and permanent arm injury while traveling as a passenger in a touring van that was operated by a corporation based in Vashon Island, Washington. The man purchased a photo safari tour from Joseph van Os Photo Safaris, Inc. for Yellowstone Park in Wyoming scheduled for February 9, 2004. He was one of nine passengers riding in a passenger van as part of the photo safari tour when the driver diverted his attention from the roadway, causing one of the wheels to leave the roadway. The van slid down an embankment before striking two trees, rolling over and crashing up against a large rock. 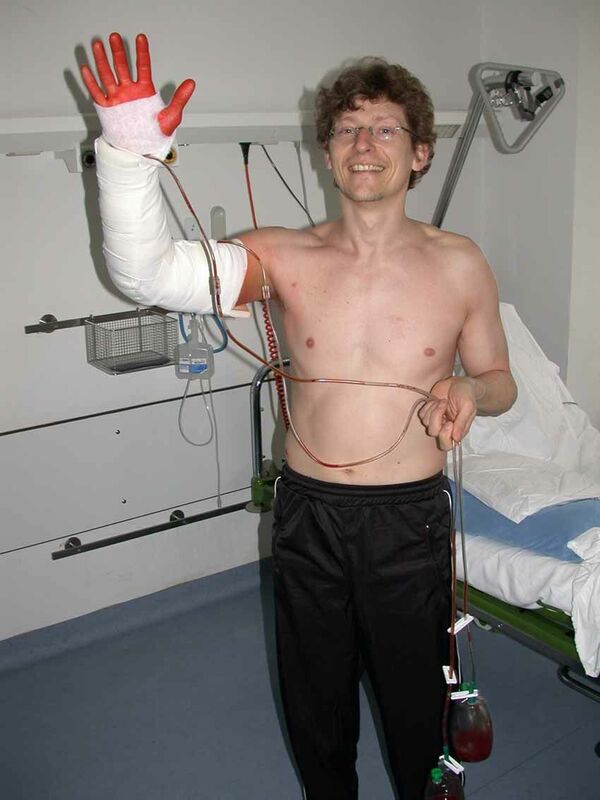 A branch from one of the trees punctured the man's forearm, causing him to suffer extensive damage to his median nerve resulting in permanent numbness in three fingers. The injury limited his ability to continue performing his job duties at the level he was accustomed to. Once the man realized it would be a battle to receive fair compensation for his medical bills and the permanent disability he suffered as a result of the tour van driver's negligence, he decided to hire attorney Chris Davis of Davis Law Group to represent him in a personal injury claim against the company. As is the case in a majority of outdoor entertainment programs like the one offered by Joseph van Os Photo Safaris, our client had signed a waiver or release form designed to indemnify the company against liability from any injury suffered by a customer. The company refused to pay our client any compensation for the incident based on the fact that he had signed this release. Mr. Davis argued that this release was only meant to apply to an unforseeable injury that could be related to the unpredictable nature of a photo safari tour, and that it did not cover a negligent act by one of the company's employees. Mr. Davis eventually filed suit against Joseph van Os Photo Safaris, Inc. and the attorneys representing the company requested that the judge throw out the case based on the release. This request was rejected, and the judge ruled that the jury would decide whether the Release was valid or not. Not wanting to have the case heard before a jury, the company eventually decided to settle with the victim. Chris Davis was able to negotiate a settlement of $425,000 for the victim approximately one week before trial was scheduled to begin. An oral surgeon from Germany suffered a permanent arm injury while riding as a passenger while on a tour of Yellowstone Park. The company denied his claim, but Chris Davis successfully negotiated a $425,000 settlement for the victim.